Delicious, fresh food from the fields you’re sitting in. What could be better? The view maybe. 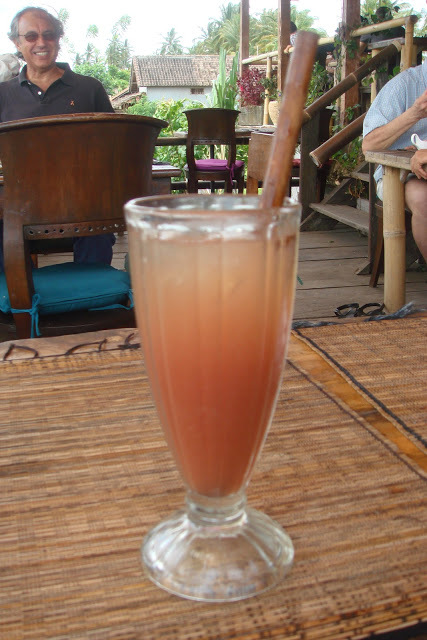 We had read/heard so much about Sari Organik in Ubud, Bali, that we assumed the locals would know where it was. Not the case. 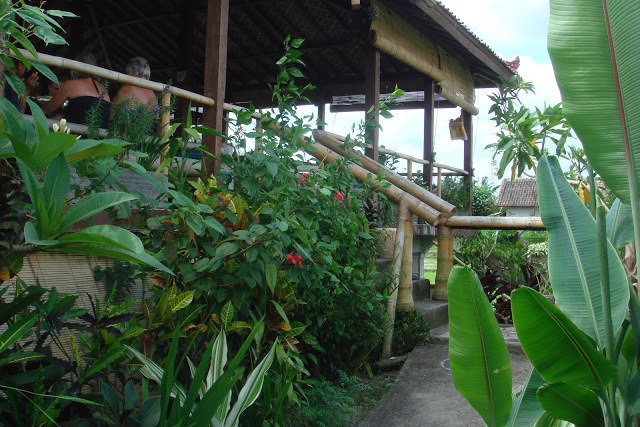 After much investigation, we were lead to a narrow pathway behind a house that apparently connected to rice fields and then told to ‘follow the path’. Seeing other people (who looked like tourists) headed the same way we figured it was the right direction. 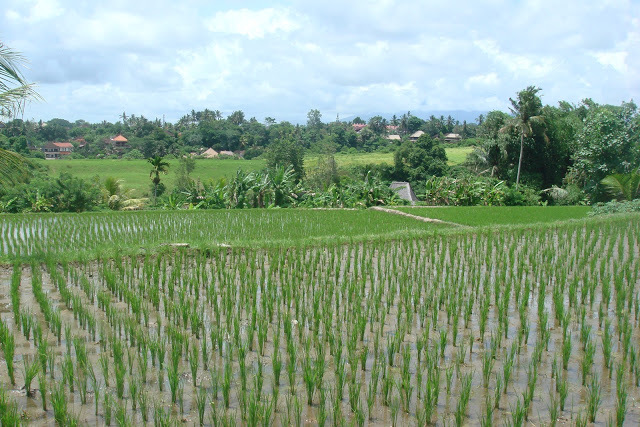 Why else would they be traipsing through rice fields at lunchtime, right? We blindly followed these umbrellas (and the smart people who carried them) down a lovely winding path. 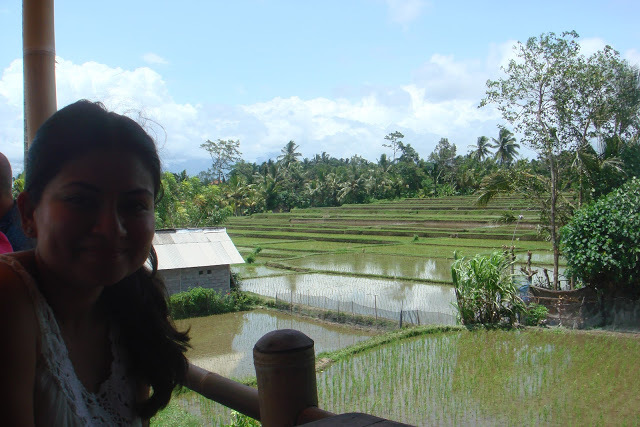 We walked through serene rice fields. 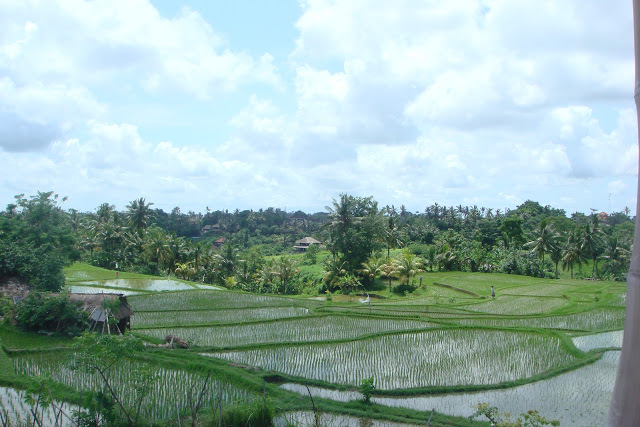 You’re always surprised by the landscapes in Ubud. They just never get old. 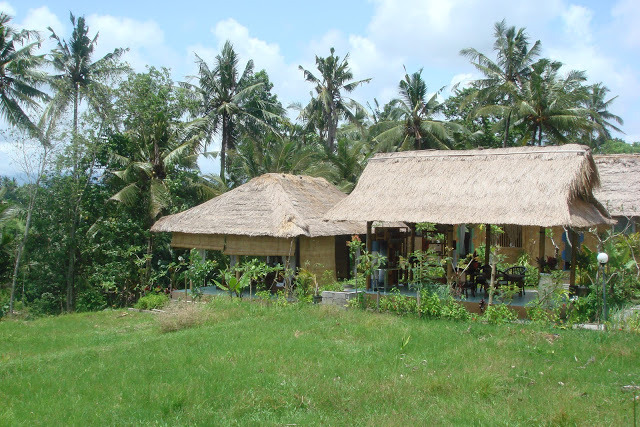 We walked past quite a few huts like these. None of them were Sari Organik. After a long walk, we finally we came upon this delightful sight . 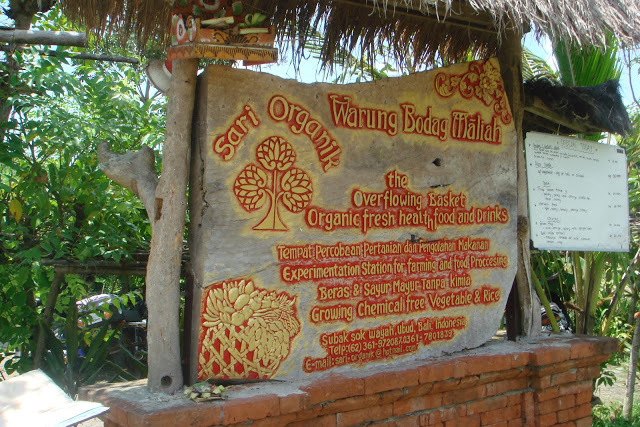 . . Sari Organik is known for the fantastic food they serve, all created from their own organically grown produce. ‘Overflowing Basket’ = a very good sign. And welcome to Sari Organik! 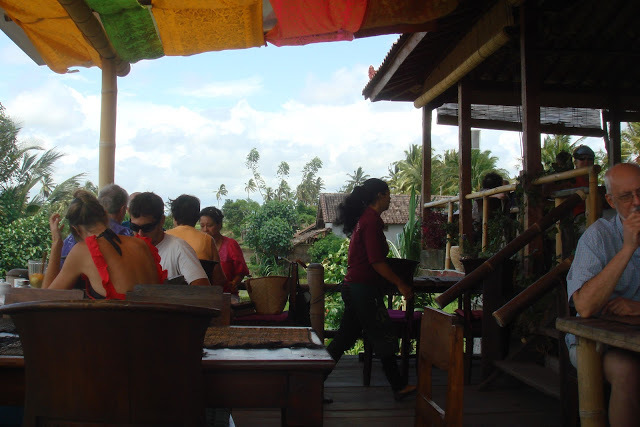 You’re here to eat a beautiful lunch on stilts under a canopy. 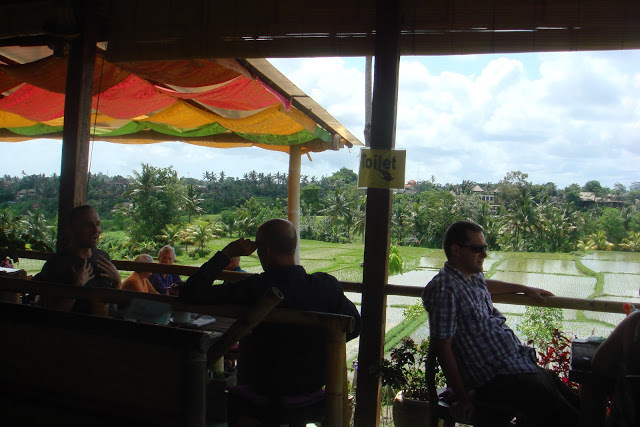 You’ll have a glorious view of the rice fields as you enjoy your meal. Stay a while? We got the perfect table. It was breezy, you could sit cross-legged and lean against big cushions, and this view. We started with this refreshing ginger lemonade. It really took the heat away. The gentleman also seems pleased with our choice of drink. 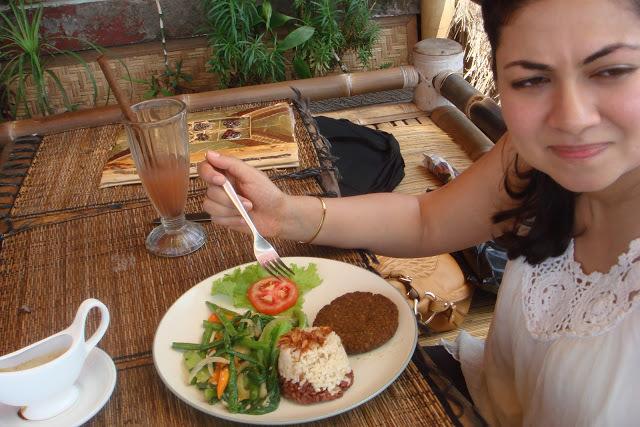 I had a falafel patty with brown rice and grilled vegetables. It was as good as it looks. Light, crunchy vegetables, delicately flavoured rice and delicious falafel. Best part, it supported the local farmers. Ignore my expression, I was probably regretting stomach space wasted on breakfast. Deval got some sugarcane + lime juice and the day’s special. It happened to be green curry, brown rice, vegetables, crispy okra, and a bean patty. We shared a raw papaya salad as well. We were on holiday, that’s all I can say. Our view. We gazed at this long after our meal was over. Best way to spend an afternoon. 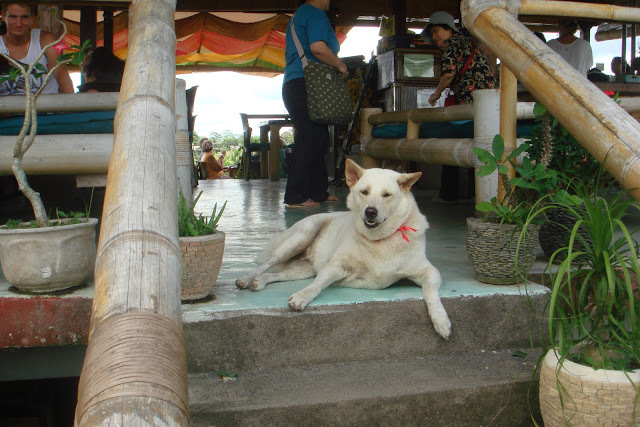 We had the perfect farewell too – this guy came and sat on the steps to say bye. 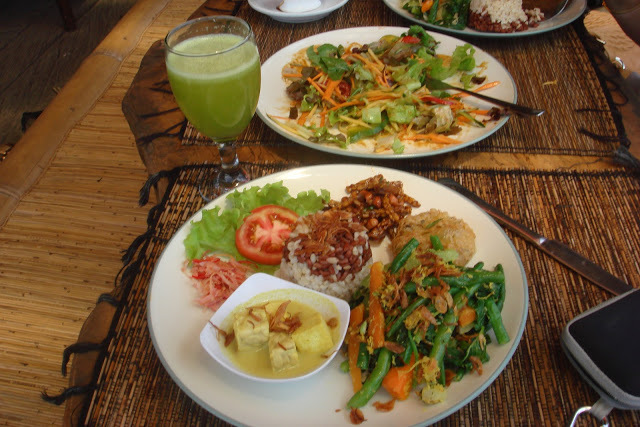 Sari Organik feels like a slice of Balinese life served up fresh with a side salad. Don’t miss it. 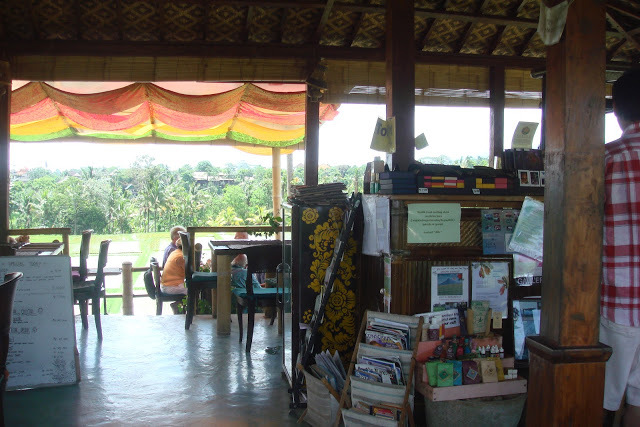 Sari Organik, Jl. 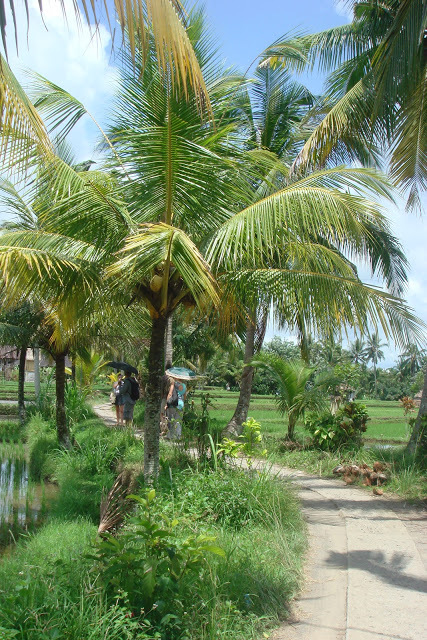 Subak Sok Wayah, Tjampuhan, Ubud, Gianyar, Kabupaten Gianyar, Bali 80571, Indonesia. Call them at +62 361 972087.